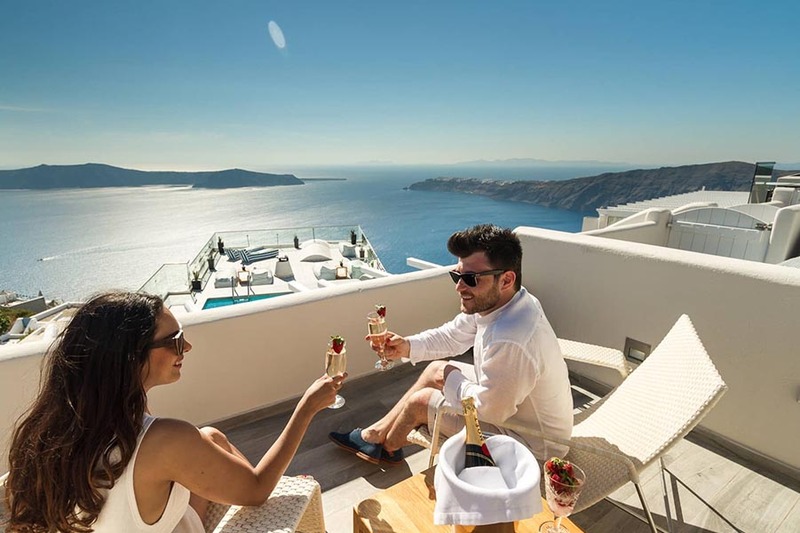 Carved at the edge of the rock of Santorini Caldera's, Galaxy offers Suites with jacuzzi, Villas with private pool and spacious verandas boasting spectacular views over the volcanic islands. 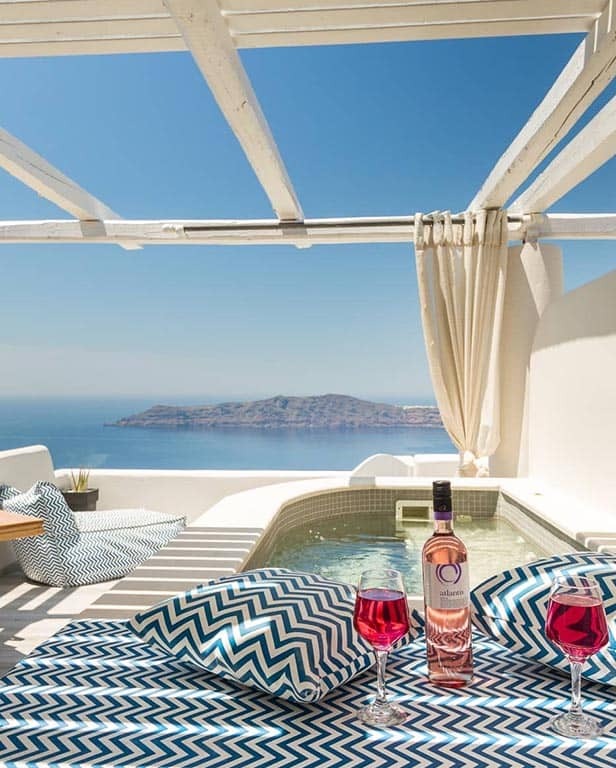 It has 2 outdoor swimming pools overlooking the Caldera for the guests disposal and serves enriched A la Carte breakfast. The experience completes with the local specialties restaurant, served in your suite or in the Private Dinning Area.